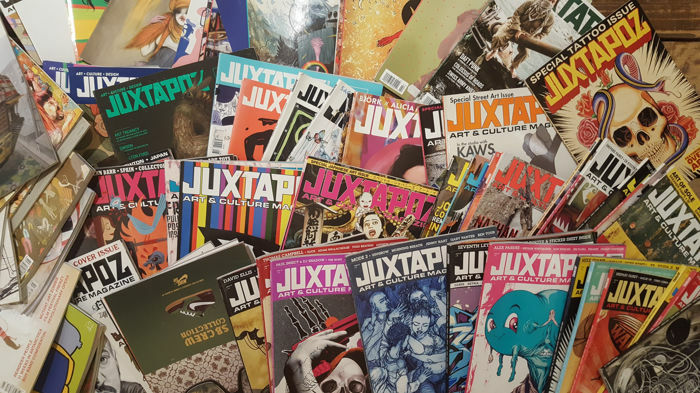 Up for grabs is a huge lot with the frontrunner of art magazines. 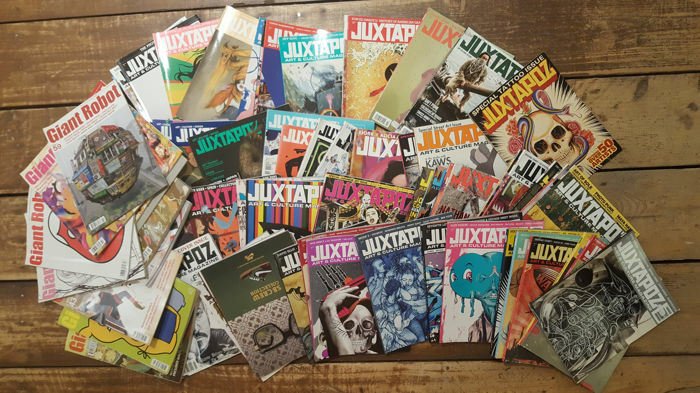 Juxtapoz! Founded by Robert Williams this ground breaking magazine pionered in finding the best (unknown) artists out there. 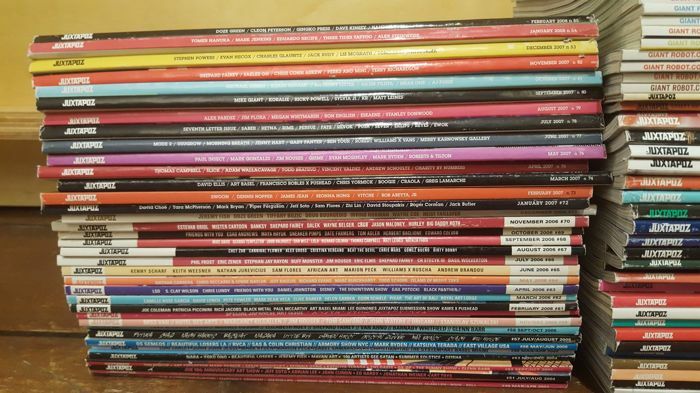 This lot contains a full run from issue 49 to 93 (-#54). On top we added 19 extra mags in the 120 to 170 range. there are also 3 special street art and tattoo issues. 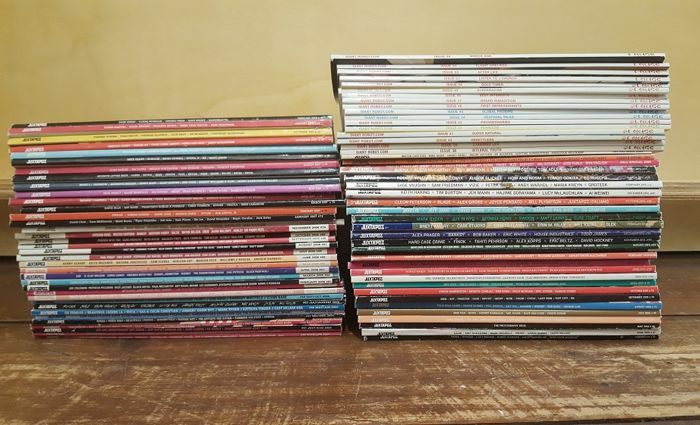 Auction value of older mags is €15 easily. 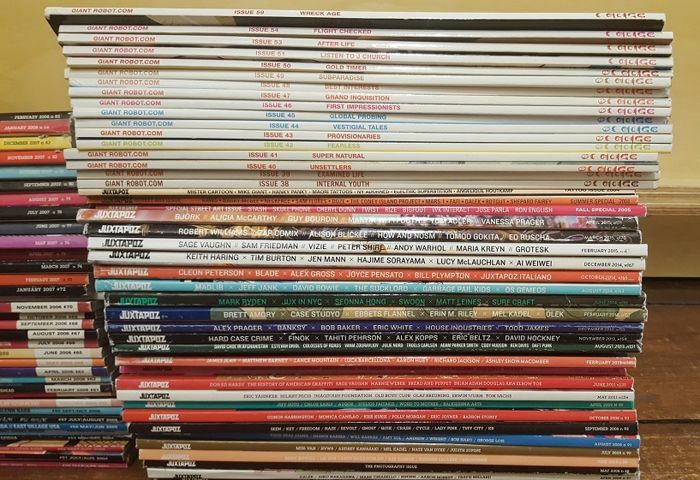 newer issues keep going for cover price or a little more. 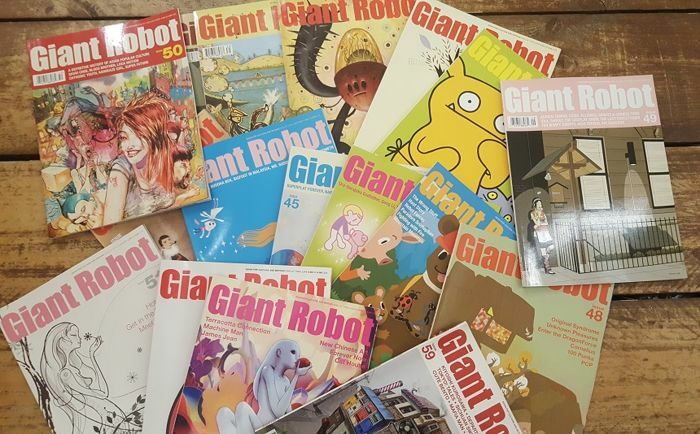 To make it even more worth your while, we added 17 Giant robot maqazines. Full of art, music, contemporary lifestyle and more. The lot contains issue 38 to 54 (-52) and 59. That is a grand total of 82 magazines. 28 kilos of pure street art pleasure! All magazines are in fine to very fine condition. 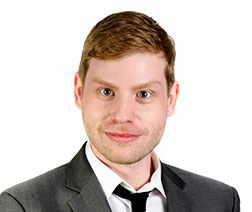 Artists like: Mark Ryden, Camille Rose Garcia, Jeremy Fish, Jeff Soto, Doze Green, Sheppard Fairey, Mike Giant Tokidoki, Alex Pardee, Junko Mizuno, Sam Friedman, David Hockney, Audrey Kawasaki, KAWS, Miss Van, Margaret Kilgallen, Adrian Tomine, Tim Biskup, AJ Fosik David Choe and many many more were featured.